Guess who is coming to town? 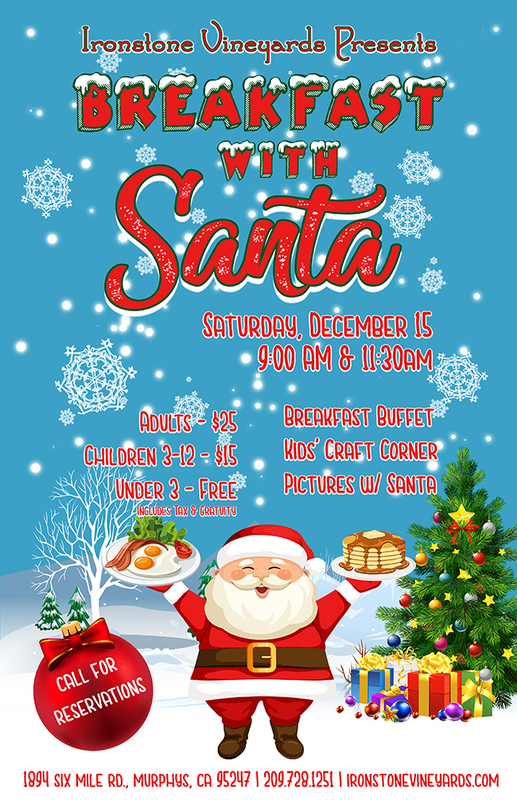 Santa returns this December for his annual breakfast at Ironstone Vineyards! 9 a.m. or 11:30 a.m.